Feeding habits vary within this group; woodpeckers, jaca-mars, and puffbirds eat mainly insects, whereas toucans and barbets feed mainly on fruit (although these birds do feed their nestlings insects and similar protein-rich prey). Toucans are often described as active predators on eggs and nestlings of other birds but Remsen et al. (1993) contest this characterization. 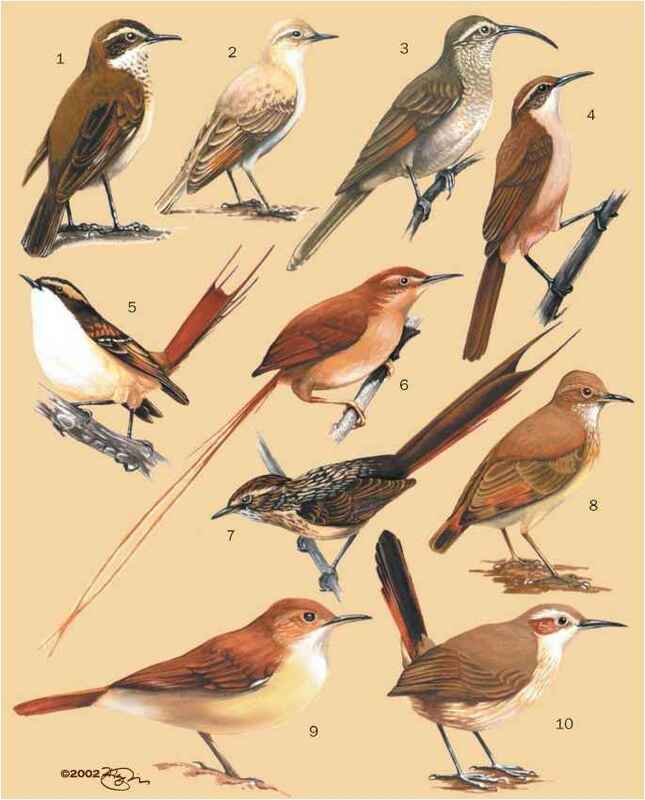 Both jacamars and puffbirds take their insect prey in flight, behaving like oversized flycatchers. Butterflies are the preferred prey for jacamars; puffbirds most often capture flying beetles. Some woodpeckers also "hawk" after insects, but most often members of this group drill holes in tree bark to extract soft insect larvae (a few barbet species also excavate for insects). Some woodpeckers do eat fruit or nuts, and the appropriately named sapsuckers drill "sap wells" in trees and drink the sticky exudate. Honeyguides are unique among birds for their habit of eating mainly beeswax from honeycombs; a symbiotic microorganism living in the gut helps these birds to extract nutrition from a substance that most other animals find indigestible. Honeyguides are also unusual in having an excellent sense of smell; many reports exist relating how birds are attracted to burning beeswax candles in rural churches.